An air cast can be a helpful alternative to having to wear a plaster cast following an injury. With air casts, your broken body part is supported by an inflatable liner that provides you with a little more freedom--such as being able to walk on a broken ankle or foot--than a plaster cast allows. 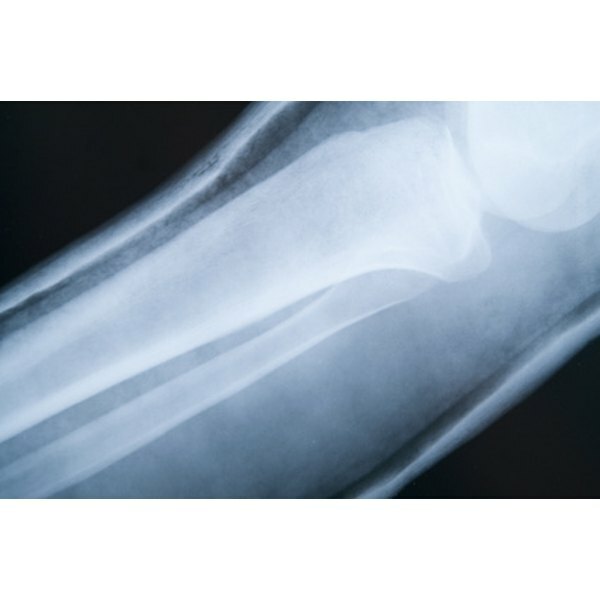 Since they are worn constantly, air casts can get quite dirty and smelly, which is why knowing how to clean one is important to keeping it sanitary while your broken bones take their time to heal. Remove the air cast from your body by gently unfastening all of its hook-and-look fastener strips and slowly pulling it away from the skin. Pull out the foam insert in your air cast and soak it in warm water and some gentle laundry detergent for 15 to 20 minutes in a tub or sink. Use a clean cloth or sponge to scrub off any stains or spots that may have accumulated. Run your foam insert under cold water until you have rinsed all of the soap out of it, then gently wring the insert out once and let it air dry for a few hours in sunlight or for four or five hours without sunlight. Pour a cup of white vinegar into a small spray bottle with ¼ cup of water and shake the bottle to mix the solution well. An all-natural cleaner is best to use, as chemical cleaners can irritate sensitive skin; white vinegar is a good odor neutralizer and mold and germ killer. Spray the plastic surfaces of your air cast and wipe them down with a sponge. Make sure you get all surfaces to ensure you are removing all of the residue that builds up on your cast. Ask your doctor for a couple of foam liners for your air cast so you don&rsquo;t have to wait around for one to dry before you put your cast back on. Wash your air cast three times a week to keep smells and residue from building up. If you have a foot air cast, remove the air cast daily and put on a clean sock each time. For added odor fighting for a foot cast, you can pour a little bit of baking soda into your sock to keep your foot dry and neutralize sweat and residue odor. Never dry the foam liner using a dryer or any sort of heat, as this can damage the foam. It may be best to have a friend or family member wash your air cast foam for you if you have a foot cast, as chances are you have limited walking ability and don&rsquo;t want to risk falling or slipping on the broken leg or foot. Follow all instructions your doctor gives you for wearing an air cast and removing it.